My two-year-old son loves trains. One of his first words was “train”. And, he likes to announce the arrival and departure of trains, with the word “train”, repeatedly, while pointing. The fascination people have with trains can be traced back much further than today’s living generations. In fact, before planes and automobiles, trains, or iron horses – as they were sometimes admiringly called, captivated young people in cities, towns, and out on country farms. In the years following the close of the Civil War, young men on rural farms looked with fascination at the trains that passed through their New England towns. They looked to the trains to deliver them from the boredom they had come to associate with farm life. For young rural women, a trip to the depot to watch the train come in allowed them to break up the monotony of farm life by seeing who was arriving from Boston, the ‘big city’. In the 1870s, young people everywhere saw railroad life as offering a certain charm and urban sophistication. Men who were able to land positions with the railroad could count on steady employment and a solid career. And, they would travel through the city and surrounding countryside once or maybe even twice daily. Men landing railroad jobs started off as brakemen, who brought trains to a stop at approaching stations. From there, with time, experience, and some politicking, they were elevated into baggage-master positions. Baggage masters were charged with caring for and delivering the bags and suitcases to traveling passengers. All young men on the railroad hoped one day to become conductors, who held the awe of all. Conductors wore gold-laced caps, and were the ones who announced the ‘all aboard!’ at each stop along the line. Railway men, and those who loved them, knew that a job on the railroad meant many hours away from home, but most of the men wouldn’t trade the job for any other, and often, a man who started his career as a brakeman retired decades later after a lifetime of employment on the railroad. The conductors of the railroad were known by their uniforms. Made of distinctive dark blue cloth, each man wore a sack coat and vest with pants, decorated with stripes. The men fastened their uniforms in place with brass buttons, which bore the date of the railroad’s incorporation. As part of their compensation, conductors received a stipend of $200 annually to buy their uniforms. Strict regulations were enforced to ensure that conductors always appeared in uniform, and that they were neatly dressed. Upon each completion of five years of experience, conductors added a black velvet stripe with gold trimming to their right sleeves. 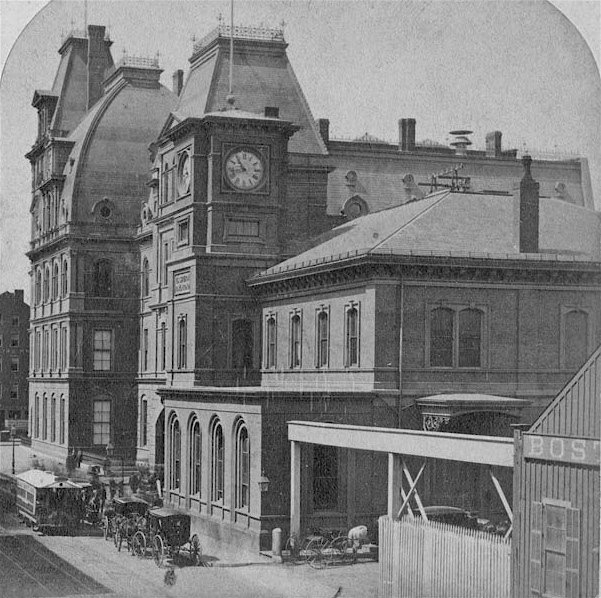 In 1874, the vast network of railroad lines connecting Boston with the outside world included the Boston & Providence, the Old Colony, the Fitchburg, the Boston & Albany, the Boston & Maine, the Eastern, and the Boston, Lowell & Nashua. During the years following the Civil War, the Boston, Lowell, and Nashua line was known for its austere, direct conductors. Most of the men who ran the line had grown up in the towns of New Hampshire where, as boys, they dreamt of one day becoming conductors. 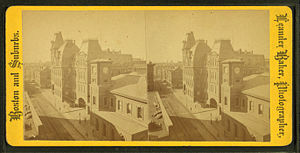 In 1874, sixteen men served as conductors for the Boston, Lowell, and Nashua line on its “Boston End”; three more served as additional help when collecting and punching tickets on the trains when they ran their short trips. Forty-six men supported the conductors’ efforts in the roles of and baggage masters. The line prided itself on hiring men who had the ability to grow into the conductor role. 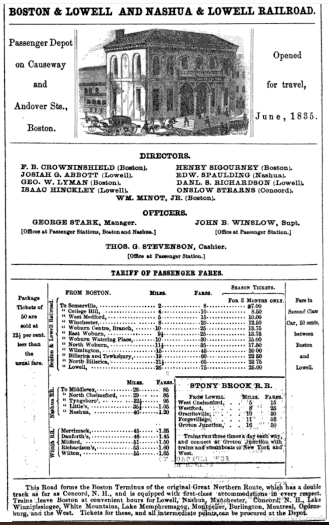 On the Boston, Lowell & Nashua line, men working the Lowell, Concord and Greenfield routes averaged 120 miles daily. Men who worked the Woburn, Lexington, and Stoneham routes averaged some 60 or 80 miles, daily. It was said that the more frequent stops on the shorter routes were more exhausting. Conductors earned monthly salaries between $70 and $85. Brakemen and baggage masters earned salaries around $50, monthly. The men of the Boston, Lowell & Nashua line were described as a “steady-going” set, and almost all were married. Those who had seen the conductors’ room described scenes of “high, low, jack” or backgammon. The conductors on the line included some of the railroad’s longest-serving veterans. One, John Barrett, had run the first train to ever make the route some forty years earlier, on June 26, 1835. Barrett had held his conductorship through 1860, when he became a depot master for several more years. By the 1870s, Barrett was still serving the railroad, even at the advanced age of 74. Another veteran of the line, Josiah Short, had served the railroad some forty years; by the mid-1870s, he had become a ticket agent at the Lowell station. Another conductor, Albert Carter, had served for so long on the line’s Woburn branch that generations of schoolboys had come to know him as “Old Carter”. Old Carter had developed no small part of his reputation by catching and reprimanding train stowaways who tried to steal rides between stations in the Winchester area during the years surrounding the Civil War. Fascination with the iron horse and its personnel continues to this day, and many children announce the coming and going of the commuter rail train during its many runs bringing commuters into and out from Boston, daily. 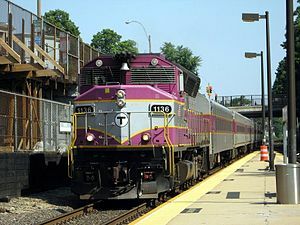 The Boston, Lowell & Nashua line lives on in today’s MBTA commuter rail, which extends from Boston’s North Station through Lowell’s Commuter Rail station at the Gallagher Transit Terminal. For some time, an extension of the commuter rail as far north as Manchester, NH has been proposed and debated, which would include stops in North Chelmsford, Tyngsboro, Nashua and at Manchester’s airport. While the decision of extending the rail continues to be debated, today’s commuter rail stations force commuters from cities and towns north of Lowell to drive deeper into Massachusetts in search of one of the currently open commuter rail stations. I don’t think there are too many little boys who can resist trains 🙂 I admit, after two sons I am a master track builder, the Man would often come home to find we had built an immense track with complicated turns and wiggles, and then have to navigate around it all night when we refused to dismantle it! My grandfather arrived in Boston in 1912 and went to Lowell where he worked at Hood Farm. Would this be how he traveled to Lowell? On this railroad line? Most likely, yes. The current commuter rail line from Boston to Lowell continued further up into New Hampshire in those years, but, yes, that was the most common way to travel between Boston and Lowell. Thanks very much. Love your articles. I used to live along the Boston and Maine line in Portsmouth, N.H., many years ago, so I really enjoyed this post. I know 19th century railroading was a very grimy, dirty business, but it must have been something to see steam locomotives chugging through towns on a regular basis. Today’s diesels just don’t have that same romantic appeal. When I was about 6 years old a planned trip to my grandparents in Camp Ellis Beach (Saco Me.) was canceled for some reason. Later that day my uncle Eddy Moquin who was a second generation engineer on the B&M took me from Nashua by steam engine to North Station where he proceeded to sneak me up into the cab of a magnificent maroon & yellow clad B&M deisel with a big minute man on the front of it. I sat in the fireman’s chair and got to blow the whistle all the way to Portland, Me. By that time I had fallen asleep and had to be handed down to my waiting grandparents. Now I ask you….how many 6 year olds got to ride in the cab of a B&M deisel? Thanks for the memories uncle Eddy! Hello ! Tim Desclos here. NHS Class “60” I,m writing my memoirs of growing up on Chestnut St. Next to the Acton track. We explored that track for years and had a ball. Built a hovel at twin ledge from the Dump stuff. Stayed in the thing winter and summer overnight for a couple years. 12 or 13 years old.